Wednesday, September 5, 2018 9:30-11:30 a.m.
Leander V. “Lee” Schrage, age 91, of Breese and formerly of St. Rose, died Friday, August 31, 2018 at Carlyle Healthcare Center. 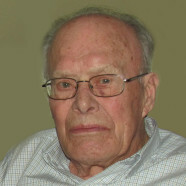 Mr. Schrage was born August 8, 1927 in St. Rose, a son of the late Theodore and Gertrude, nee Kampwerth, Schrage. In addition to his parents, he was preceded in death by his wife Delores, nee Loepker, Schrage, whom he married April 15, 1953 at St. Cecilia Catholic Church in Bartelso and she died February 7, 2017; daughter, Wanda Lager; grandson, Jeremy Schrage; son-in-law, Mark Fields; siblings, Leora Varel and husband John Varel, Bernice Wellen and husband George Wellen, and Alex Schrage; brothers-in-law and sisters-in-law, Victor Loepker and wives Rosemary Loepker and Mary “Snookie” Book-Loepker, Paul “Pete” Loepker and wife Bernice Loepker, Bernell Loepker, Donald Loepker, Katie Loepker, Paul Beckmann, and Dan Langenhorst. Surviving are his children, Janice (Tom) Hustedde of Breese, Jerry (Pam) Schrage of Suffolk, VA, Ron (Peggy) Schrage of St. Rose, Cindi (Dan) Liening of Breese, Daniel “Butch” (Tammy) Schrage of Albers, and Deb (Tom) Benhoff of Pocahontas; a son-in-law, Gerry (the late Wanda) (Kay) Lager of Aviston; 19 grandchildren and 13 great-grandchildren; brother, Ted (Marie) Schrage of Pocahontas; sisters-in-law and brothers-in-law, Judy Schrage of Breese, Henrietta “Hyne” (Ben) Koch of Germantown, Elmer Loepker of Damiansville, Marilyn (David) Buehne of St. Rose, Gerri (LeRoy) Wiegmann of Carlyle, JoAnn Langenhorst of Aviston, Netsy (Lester) Wuebbels of Germantown, Lester (Deb) Loepker of Germantown, Lou Heimann of Aviston, and Nancy Loepker of Beckemeyer; and numerous nieces and nephews. Lee retired as a foreman from Alton Box Board Company in Highland, was a farmer, and also has his own saw sharpening business. He was a member of St. Dominic Catholic Church in Breese. His greatest love was spending time with his family, especially his grandchildren and great-grandchildren. Memorial Mass will be Wednesday, September 5, 2018 at 11:30 a.m. at St. Dominic Catholic Church in Breese with Fr. Patrick Peter and Deacon Linus Klostermann presiding. Private burial will be in St. Rose Cemetery. Visitation will be Wednesday, September 5, 2018 from 9:30-11:30 a.m. at St. Dominic Catholic Church in Breese. Memorials may be made to Hospice of Southern Illinois or St. Rose Church and will be received at the church or through Moss Funeral Home in Breese who is serving the Schrage family.